January 19, 2015 By This post may contain affiliate links. Making candy filled piñata cookies is so fun and today I’ve added a twist. I used brownie batter instead of cookie dough to make Football Piñata Brownies filled with mini Reese’s Pieces. I had to bake the brownies in thin layers then cut them into football shapes, stack and fill them. The brownies that were cut from the edge of the pan are crispy like a cookie and those that were in the center of the pan are a bit softer and chewy. The brownies really worked great as a base for a piñata style treat. 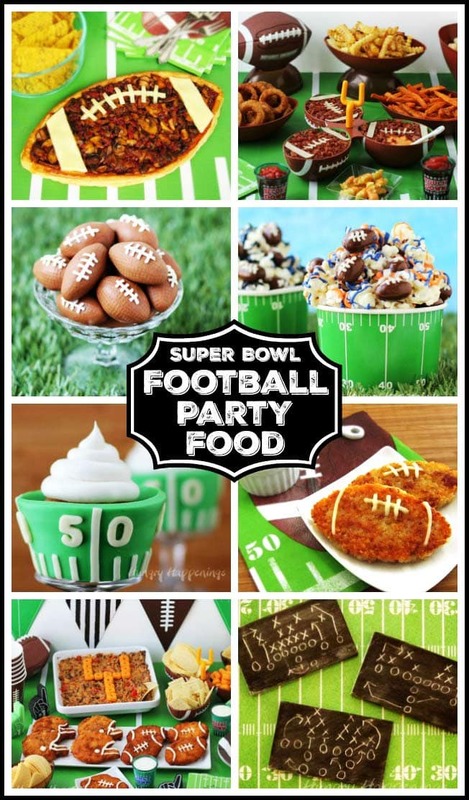 You can see the step-by-step tutorial and recipe to make these Football Piñata Brownies over at Tablespoon.com. I will never tire of pinatas … love the brownie twist! Me either, I'm glad you like the new twist. It was fun to make them and eat them. I love the pinata cookies!! Haha..okay, I read the post and know these are brownies, not cookies as I called them in my previous comment. These are so cool! I wish I could have shared them with him! They are yummy. 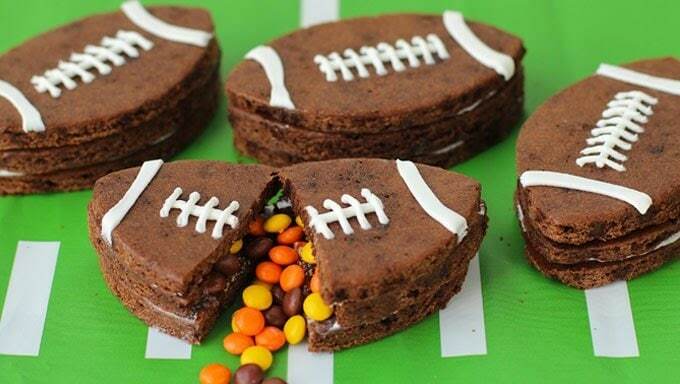 I'd run for a pass to grab one of these footballs, I love brownies and the way you've layered them filled with candy is super cute! LOL! I throw like a girl, and wouldn't be able to get one of these across my kitchen, let along across a football field!